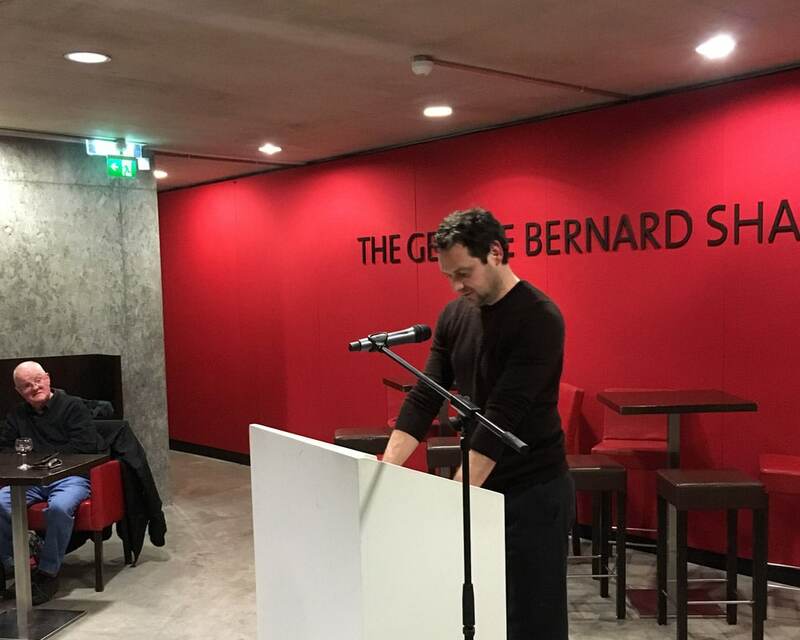 During last night’s book launch of The Failing Heart, Dr Eoghan Smith read a short excerpt from the novel giving the crowd a taster of what to expect from the dark, surreal tale set in Dublin. The novel was launched in VISUAL Carlow by publisher Eric Lane of Dedalus Books. The Failing Heart is the latest novel from Eoghan Smith and is a story about a student haunted by the death of his mother and the impending birth of his ex-lover’s child, who embarks on an obsessive quest for knowledge. Abandoning his home, running out of money and increasingly paranoid, the people he encounters and the places he inhabits become mysterious sources of terror and anxiety. Eoghan will also launch The Failing Heart tonight (Thursday 17th January) in Hodges Figgis at 6pm.